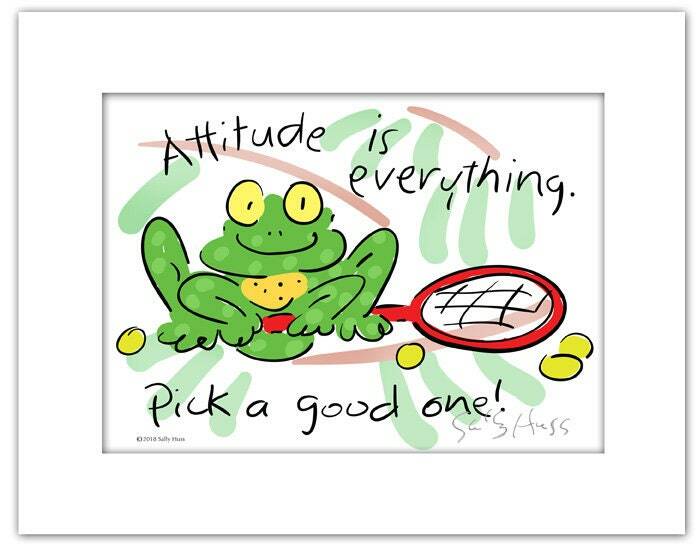 This is a perfect thought for any tennis player adopt, especially young players. It is offered here with a happy frog in this new line of gift art. It is matted and hand-signed by me with the outside dimensions of 8"x10." The piece will fit easily into a standard frame. This is really beautiful, with an excellent mat, and shipping was fast. The artwork and sentiment is perfect for a friend's 60th birthday gift. Thank you so much! Love all of Sally's works...this is beautiful! MIXED BOUQUET by Sally Huss. Original acrylic painting on canvas with white-washed wooden frame (no glass). Outside dimensions 20x24.